While some new Watch Dogs 2 DLC (both paid and free) arrives later this month, bringing with it some new features like a PvP mode and a new Dedsec operation, it's Ubisoft's future plan for added content in which we're interested. Specifically, upping the online co-op player count from two to four. In a blog post last week, Ubisoft laid out its "content roadmap" for Watch Dogs 2 over the next few months. The biggest change was them pulling the new PvP mode, Showdown, out of the paid "No Compromise" DLC and making it free/available to everyone. As a result, the "No Compromise" DLC will now include some new outfits that grant you special in-game abilities as a way to make that paid DLC more "premium," I guess. The one bit of co-op news amidst all that is the plan to increase the number of players supported in the free roam/co-op missions to four, though this won't occur until sometime in June. 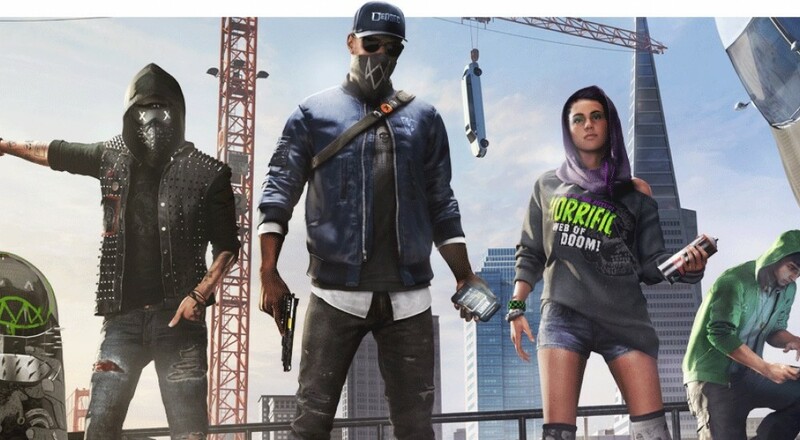 Watch Dogs 2 is out now on PC, Xbox One, and PlayStation 4. It currently supports two players online in special co-op missions and general free roam. Page created in 0.7029 seconds.